Recently I visited a city in the north of Ireland, Derry, and I noticed that there are still a lot of confusion between the “Irelands”. The confusion has some reason to be, after all there are three Irelands. And with that, people get quite confused between the three. Yes, three! Not one, not two, but three! This week I finally ticked off another one of my Erasmus’ goals, visiting Auschwitz! After a few tries, I finally ended up visiting Istanbul! A few misadventures prior to that and unforeseen changes of plans that lead to cancel the trip once, this time I flew alone and I ended up having a memorable time in this ancient city! So memorable that I decided to split this article by days. Going to the airport…, hop into the bus early at 6 in the morning, and queueing to check-in…, again… Once at the check-in desk, the lady asks how to pronounce my surname – Sousa – which made me laugh immediately, and I say it out loud “It is Sousa, not Susa“. The lady from the next desk starts laughing uncontrollably once I say that. In greek, lowercase “Y” is represented by a symbol that resembles “u”, and the combination OY is equivalent to the sound U, “Susa” in greek means popping a wheelie. Not long until reaching Istanbul from Athens, and right on international soil I tried to pass the boarder, which I learnt that I need to pay visa…, I assumed that all EU citizens could get in freely, considering I knew greeks and even french people friends of mine who just visited Istanbul without any visa, but back then I had to pay 15€. No questions ask, I just paid and that was it. Once I passed the passport control, I did my first money withdraw in that new currency, and I headed towards the city center by metro. I had to wander around for a while since my couchsurfing host couldn’t meet with me until only after lunch. The tram trip was something, I never imagined I would meet so many nice people, actually, I think I never did! One old man, who couldn’t even speak a word in english, started a chat with me (I speak absolutely no Turkish). He was trying to figure out where I am from and trying to help me with my stop. The guy sitting next to me saw my face of desperation, and he helped with the translations, plus a few other tips. First hours in that amazing city, and that was the reception I got! I couldn’t be better impressed! While we were playing and smoking, a street food seller came by with oysters with rice. That’s just delicious! Street food is definitely the best thing ever! After that we went to Taksim for a walk, SO MANY PEOPLE!!! The area is really pleasant, filled with bars, restaurants and a few pubs. Loads of people outside, which reminded me of home, like a night of Santos Populares, the most known street party in Lisbon and in Portugal. And to end such an amazing day, my host took to to a roof restaurant, if I am not mistaken, that’s even the name of the restaurant itself, where we dine with the view to the Golden Horn! What a view! Once back home we kept talking, I was absolutely wrecked but still really eager to keep talking like if he was a flat mate. Yes, like a flat mate, that’s how comfortable I felt with such a welcoming day in Istanbul! There’s no better way to start a day than with a brunch! My host invited me for a brunch at one of his friends’ place, whom also treated me the same way like he did, like an old friend. Two hours eating, chatting and trying all those Turkish delicacies, the first time I had tea at breakfast, which I really did like and it is something to repeat. After dinner we went back “home” again, and while my host went to practice some sports I stayed with his friends at the place were we had the brunch, probably more than one hour always chatting with them. And to end the day in a great way again, we went to the park by the sea to drink beers and more chats! We talked about everything, I reckon we stayed there for over two hours, and to finalize it, we went for an ice cream to a place nearby. Probably one of the best ice creams I have ever had! The ice scoops dropped into hot chocolate, which solidified instantly. Simply perfect! Visit to the Historical Peninsula, again…, but way more paced! I went back to the park I been to on the first day, but instead of just crossing it, I explored it a bit further and I noticed how “prepared” the local culture is…, Istanbul is an amazing mix of religions and cultures, no one cares about what the other is wearing, burkas or tops, everyone minds their own business. At the park you can find really cute and romantic corners, perfect for couples to date with a bit more privacy (but not too much). It is really a cosy park. I went back to the Blue Mosque, and this time I actually got in. I had to take my shoes off and what I saw inside totally amazed me. Nothing alike what the catholic religion got me used to, inside kids were playing, people were taking photos and talking freely, though there is still a segregation for praying. Women and men are apart, and there silence is requested. A sacred place where you don’t feel tied to religion, but where the same religion also constraints you. A bit like an oxymoron, no? Since I was enjoying my time, I thought I could do something cool to please my host as a way to thank him for the amazing experience. I remembered that the day before he wanted to buy a watermelon for me, so i did it for me 🙂 Though, when he got home he said “Gil, I have some fruits for dinner“, to which I replied with a bit smile and a “Me too…, check in the kitchen…“, he went back to the living room really pleased by that! Something so simple, though very personal. And that’s why I love couchsurfing, you don’t need to buy something expensive, instead something personal works way better. I went (again) to Taksim, and I waited for her about 45 minutes (gotta love punctuality), until she finally showed up. Since my plans were only to enjoy the city, we decided to cross the whole avenue and go to the Tower, in a very paced way. Then we would decide where to go. On the way we stopped for tea and for a chat, and after the tower another stop for a freshly squeezed juice (where she starts complaining that it was too expensive…). We then went down to Karaköy, and while she went to an internet café, I tried to find a map for her in some tourist office. When we met again at the internet café, she was again complaining about the prices. Though this time I started to be annoyed, she KNEW beforehand what the price was, why did she complain again? To ease the moment I suggested to go to a bazaar of cafés (where I smoked narghile on my first day) to drink some tea or a Turkish coffee…, and again, she complains again about the prices. I was really starting to be fed up of her by then… From there we went to the Palace where Ataturk died, unfortunately we arrived right after closure time. We decided to stay in the area for another tea (I think my kidneys never worked that well before…), and again…… she complained! This time she had some reason, all waiters couldn’t speak english, and the café was next to the palace, a very touristy area. Though, if they don’t speak english…, why would one complain to THEM in ENGLISH??? I walked her to Takim where she would meet with her host, we drunk a beer and I went back to my host’s place! My host was tired, and I was tired of the company I had for the day, so we decided to stay at home! Last day in Istanbul…, and that was the day I realized I actually like to suffer…, I met again with the woman from the day before! At the Historical Peninsula! I went to Hagia Sophia from inside, a bit expensive (10€), but still quite interesting, and the local history is just amazing which fueled a bit more the pet-hate I have for the catholic church! Besides the way the destroyed the Parthenon in Athens, with Hagia Sophia the other religions proved to be way more respectful towards art from other people and religions. Hagia Sophia was originally a Cristian Cathedral, you can find loads of references and art related to Our Lady, Christ and other Cristian symbols inside the church, however the muslims conquered the church (I am not sure about this part), and instead of destroying the symbols that are not related to their believes, like the Catholic Church did with the Parthenon, they kept it all! Is there a better way to show respect than this? Everything related to the catholic church that is more damaged is mostly due lack of preservation instead of destruction. It is amazing to be inside a catedral that resembles more like a Mosque but that it has symbols from both religions! Amazing! Then we went to the Castle, I was not much in the mood to get in at the time…, I was a bit hungry and I was not particularly curious to get it. She wasn’t either, so we decided to go for lunch. After lunch we visited the Basilica Cistern, A M A Z I N G!!!! Half the price of Hagia Sophia, though the surprising factor was twice as much! Something REALLY amazing! I highly recommend a visit, I can’t even describe it besides the obvious, an underground basilica! Flooded with water and FISH! Something really amazing! After the Basilica Cistern, we went (again) to the park, where she started complaining again…, though this time I understood where all that rage was coming from. Her Turkish ex-boyfriend knew she would be there, and didn’t say anything to her. Apparently I was the perfect target as a punch bag…, it seems like my karma… We ended with an ice cream at the hill with a view to the Canal, and after that I went to Kadiköy to meet with my host and get ready for the night. We had a light dinner, we bought some beer, and we went to the park by the sea. My third wish in Istanbul! CS Meeting! Amazing night, where I found out that my accent sounds absolutely like Russian, or at least when I get a bit more tipsy… unfortunately that night also meant that my visit was close to an end…. Back home, I said my goodbyes, and a few hours to nap before the very early wake up. I crossed the canal to the European side (my last crossing), and last moments to enjoy of both sides of Istanbul. Got the tram, passing through Sultanahmet, another last look at the Mosques that welcome all the visitors when they arrive. Arrived at the airport, where I met more Portuguese people, though they were unable to have a chat, besides asking how is the weather in Athens. I just politely dumped them and I tried to focus on how amazing those days were! What a trip! Istanbul left a big mark in me! Amazing city! This year was amazing, and at last I checked out of my bucket list one of my travel dreams, this trip to Iceland! No, I didn’t see the Northern Lights, at least not with my bare eyes… (more about this in another article). But it was a trip that taught me a lot about loads of things, even how to prepare a bag and the trip itself. This time, and I hate to admit this, but my packing didn’t go so well… It was the first time I traveled to a country known to be really cold (ICEland anyone? ), and I knew very few about this country too, even though I researched a lot. And I ended up overpacking some items into my bag… So here’s the list. Comparing with other lists I did…, I am starting to think I might have a problem regarding the amount of gadgets I take with me… Anyway, after all of this, I ended up using everything except the Travel Adaptor. Honestly, I don’t even know why I took it with me, considering I already had an USB adaptor for European power outlets, everything would work fine. Please note that Iceland uses the same power outlets as the rest of mainland Europe, if you’re coming from any of those countries you won’t need any adaptor. Regarding the batteries, if I had doubts about their need when I purchased them, now I am certain that it was a wise decision. When I tried to take photos of the Northern Lights I really had to use the spare battery I had, even though most of the photos are still crappy… But it was way better to have a spare battery than not even trying to take those photos. Regarding the SD cards, I only had to use an extra one for the GoPro, the spare ones I had for the Nikon I didn’t even had to take them out. But I was already counting on that, I just took them as a backup. Just by looking at this list it is obvious that I overpacked…, and yes, I over packed it. I had no idea how to pack a bag for a country known to be this cold, and I also didn’t know exactly what to expect. Waterfalls? Hikes? Snow? Rain? My biggest fear was ending up soaked without a change of clothes, and considering it didn’t make sense to plan laundry while traveling for just a week… I decided to be over prepared… but while for some things I was really well prepared, I failed in a few others. Note: All the listed links are affiliated links, a small source of income to help me keep this blog alive. Did you like this article? Add it to Pinterest! Going to Brisbane for a Zoo??? But how? Didn’t you say Brisbane doesn’t worth the trouble? I must confess that my expectations regarding Brisbane were close to null. I only decided to stop there because I had tours booked for the next stop, and I didn’t want to spend way too much time in a town waiting for the adventure. And why not Brisbane? Almost each time I mentioned I would spend three days in Brisbane, the feedback was always the same kind. It doesn’t worth the time. 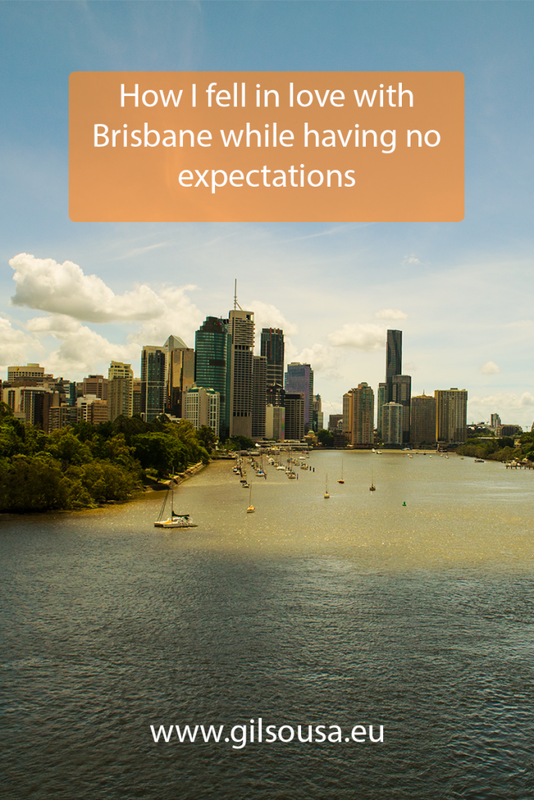 At certain point I even considered changing my plans and not even wasting my time with Brisbane, but I had also a voucher for a tour to visit the Australia Zoo, so I kept my plans as they were. Yeah, it doesn’t sound like an amazing idea, right? But it is a special Zoo, founded by the famous Steve Irwin, the crocodile hunter. Unfortunately, my plans got canceled again, and this time because they didn’t have enough people for the excursion… Yes, I could have done that on my own, but I decided to stay by Brisbane. This cancellation was quite a stress, again, but it ended up as a good thing. Well, but it does! I loved the city, and I left glad to stay those three days! The city reminds me a bit of Sydney, maybe only because of the bridge and the architectonic style, but somehow it reminded me a lot of Sydney. The first day I explored part of the city center with Ben, and a bit of the night, but it was in the second day that I decided to go a bit deeper. First thing in the morning, and I headed towards to the city center and to the City Botanic Gardens, where I saw several water dragons, a kind of iguana (I guess). Really relaxed buddies, and certainly more than used to people, considering how close they let me take photos of them. I love being in the Nature, I think I spent the whole morning in such a small garden, but at some point I head to go back to the hostel, passing again through the city center. The following day I met a Korean guy that had just arrived in my dorm, and together we went to Roma Park. At this stage I already had a really good opinion about Brisbane, but in this park I absolutely fell in love with the city! The park is really nice, with several theme areas resembling parts of Australia, with a tropical forest zone kept with a lot of humidity. One detail about Brisbane, and probably more in this park, is that there are a lot of spiders! Until my visit to Australia, I had a stupid and irrational fear of spiders…, in Brisbane I still had that fear, but this trip helped me to control my arachnophobia. One of the biggest advantages of these 24 hour tickets, is that you can get in and out of the bus as many times as you want, and therefore, you can explore parts of the city that are a bit further away. One of the stops I decided to get out was China Town, I walked a bit around the area to see the bridge and the neighborhood. After that bus, I just jumped into the next one and I changed to the next route, but that story I’ll save for another article. NOTE: According to the website, these buses don’t run anymore… Though there are other alternatives to explore the city, unfortunately a bit more expensive as well. Brisbane is the city capital of the state of Queensland, also known as the Sunshine State, and it is located close to the border with the state of New South Wales. Being the state’s city capital, obviously it is really well-connected, and it is also one of the main hubs for more routes of the Greyhound bus company, which I used during most of my Australia Adventure. How does the house numbering system works in Australia rural areas? Where is Surfers Paradise, and how to get there? Gold Coast is one of Australia’s cities with more population, and the second one in Queensland. It was also my first stop in this state. The Gold Coast is known by its massive beach, the parties and the man-made canals. The area with more population is centered in one area by the beach, a strip of land bordered by the canals and the ocean, while the rest is very well-connected by the canals and with a more suburban look. I was uneasy even regarding the hostel, I purchased a multi-night hostel pass for a hostel network, Nomads/BaseX, and I wanted to take advantage of all those (already paid) nights. 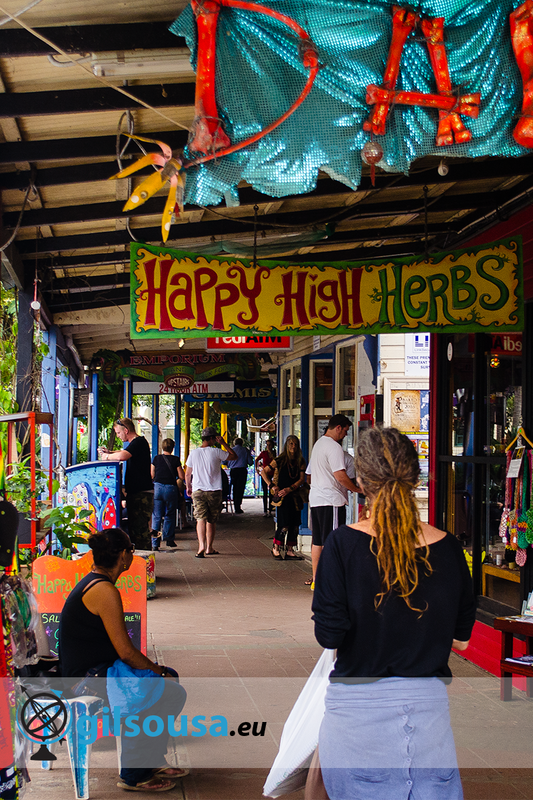 Considering that network is really popular, I was really afraid about how crazy the parties at the hostel could become, and that definitely it wasn’t what I was looking for.., however I ended up loving the place where I stayed, Buds in Surfers backpackers. Though, the first impact wasn’t the best, it is really a budget hostel, but the hostel life was one of the best I found in Australia! Old bedrooms, without indoors corridor. You open the room’s door and you’re outside…, to shower you need to go outside. The kitchen is tiny, and to eat you have to sit outside, but if it is raining you can sit under the cover they have. The bar is joint with the reception, but it has to close at 10 PM because they can’t work as a pub, and when the reception is closed, if you arrive late you need to use the side gate. If it is raining, better to go to the first floor’s toilet, because most likely the one on the ground floor is already flooded. And yes, this sounds like a horror movie, but despite all of this I loved the hostel-life I found in that place. Sometimes, we have the best experiences at the least likable places. One of the biggest advantages to stay in such a small hostel, it is the almost mandatory socialization, sooner or later you’ll meet the other guests. I noticed a bit of an age barrier, but it was there where I found it easier to mingle with other people. We played cards a lot of times, and I was introduced to a game that until then I have had never heard of, One Night Ultimate Werewolf, which I ended up buying as soon as I returned to Ireland. I think that it was also after the Gold Coast when I start noticing the pattern of nationalities I was stumbling into, chances were that most likely I would find an English person, and a very good chance to also meet a Canadian. Besides playing One Night Werewolf for several hours, we also took part in some other activities organized by the hostel. I stayed there for three nights, and the first night we had pizza party and then we all went to a pub. And a BBQ the second night, which was also the hostels’ night and supposedly also the best night to go out. The hangover from the previous night had a heavy part on my decision not to go out two nights in a row…, one night to purely relax, in the party city. Since I was visiting, I avoided spending too much time at the hostel, leaving in the morning and coming back by the end of the afternoon. At times I also went back at lunch time to save some money, but I would go out again right after eating. The evenings were spent with the other guests, and as expected I met really interesting people. One of those I met is a New Zealander man who lives in and out in Australia for many years, he doesn’t even have a residency permit! For the past 40 years he has to leave Australia one or two times a year so that he can go back as a tourist. His sons born in Australia, so they have a house, but he insists in being a permanent tourist. That gentleman’s story amazed me, he was staying there just because he got bored and he wanted to go to the beach for a few days, he went on his own and he stayed in a youth hostel. Surfers Paradise district isn’t that big, and considering that my hostel was just two or three blocks away from the beach, I didn’t even have to make a big effort… The center is packed with stores and pedestrian streets, with a tram line crossing the whole neighborhood always parallel to the beach. I lost the count of how many times I passed in that street, a really pleasant area and always with that feeling of holiday, even if the skies were a bit too grey… Of course I had to go to the beach, sun bathing in between the rain showers…, and even though I was with a stupid fear of facing sharks, I also went for a swim. And truth be said, the biggest issue at sea are the venomous jellyfish that can induce severe injures to humans, even death. Being in Surfers Paradise, of course I had to check that cliché item from my Bucket List, I paid for a two hours surfing class with guaranty that I would stand at least once. Since I surfed before in Ireland, I honestly expected I would learn a few things, but the class was for absolute beginners. It was still fun though, even if not just because of the Korean guy that went with me and who barely could speak any English, but really almost nothing, however he was really good at surfing! We were only two plus the instructor, it was almost like a private class in a beach further away from the urban center. I took my GoPro with me, I also made a few videos that one of these days I’ll edit and upload to share here with you. After the surf class, I went back to the hostel, my last afternoon in that city and still so much to do and see…, I couldn’t decide what to do next, so I ended up going to the canal that was one block at the back of the hostel to see the sunset, a few solo moments to enjoy those magical couple of minutes. After a few quite intense days, it felt like heaven to be there, doing absolutely nothing, only appreciating the sky colors reflected on the canal waters. The canals have a few tiny beaches, and one of them is right where I went to see the sunset, and while I was walking along the beach I saw a few crabs that were there, hermit crabs, the first time I saw them in Nature! I spent so much time only looking at them being dragged up and down by the waves. Surfers Paradise is a district in Gold Coast, a city that is in Queensland very close to the border with New South Wales, about one hour by bus from Brisbane. Besides buses, you can also get there by plane and by train. You can find really good flight deals to Brisbane, and don’t forget that Australia is one massive country, the fastest way to travel between cities is really by air. Why do we take photos when we travel? Usually I can’t take time off to travel for more than two weeks, but it already happened to me to lose all my photos on a weekend trip, and I still don’t know how I did it…, therefore, backing up my photos is something that became quite important to me. I learnt my lesson, and I because more cautious of my photos. On my last trip, to Australia, my levels of concern increased to an almost psycho level…, two months on the other side of the world. Those were literally thousands of memories that I will never want to lose, and misplacing one of those cards filled with memories would be enough to have a few grumpy days. To avoid those levels of concern to reach a level of not even having fun, I had to look for other ways to insure I wouldn’t come back without those precious photos of my epic trip. After some research, I decided by a combination of strategies, all listed below. Yes, all of them! At first I considered to take the iPad with me. Perfect to take several books inside a single device, I could take notes, I could edit photos right there, etc. But before I decided by that, for a month I only used the iPad to copy photos, to blog, etc. In fact, I can do all of them on an iPad, but it wasn’t the same as on a computer, and besides that, even the available space for backups was way more limited. I hesitated a lot in taking the Macbook Pro with me. Extra weight? Well, I did realize quite fast that it wouldn’t be a problem, I wouldn’t carry it with me often, only from the bus to the hostel and vice-versa. Therefore, the extra weight wasn’t even a problem to consider. Safety? Yep, same as the iPad, actually, considering that the iPad is smaller than the Macbook, that makes it even easier to steal… Available space in the hard drive? A lot! Yes, my psychotic levels of concern were high! I decided to pay for a iCloud photo storage plan, 1TB. About 10€ /month, and some peace of mind. But I still had some doubts, I did quite some research how to backup while on the road, and one of the comments that made me feel more uneasy was regarding internet access in some remote places. In fact, just to upload all my current library to the cloud it took me almost a full week! The upload speed made me feel even more nervous, even though it sounds like an awesome solution, it could go terribly wrong if I couldn’t find a good internet connection. And I found the perfect solution! I purchased a 2TB My Passport Wireless! It is an external hard drive with SD card reader, that copies all the card’s content without duplication content previously backed up. I just loved that solution, and to test it, I used it a couple of times before my holidays, and I honestly loved it! They have a companion app for iPad/iPhone, and with that we can have a better control of what is being copied, the backing up progress, free space, etc. We even can used as a router, we can connect the hard drive to a wireless network and from there, we can keep our iPhone always connected to the disk without having to switch network each time we want to access the hard drive and/or to the internet. Not so good things about the My Passport, I found it a tiny bit too slow, and the fact that we can’t have it connected to a wireless network while being connected via USB to the computer, is a bit of an annoyance… (I took a while to figure this out). But in general, it was the perfect solution, a full backup of my SD card, and an external hard drive that I can just place in some other bag. The combination of the hard drive with the iPad would be perfect, way lighter than the Macbook Pro. But why still insisting by carrying the Macbook Pro? Mostly because it is harder to blog on the iPad, possible but a bit harder…, and at this point I was already decided, therefore it didn’t even cross my mind to change plans. The strategy, obviously, it is up to you. For sure there are other ways to make sure you’ll get home with all your photos. An adventure doesn’t have to be epic to be enjoyed, it doesn’t have to last for several months to have memorable stories to tell, and it doesn’t have to be shared with an old friend to feel absolutely comfortable. This trip to Scotland was one hell of a trip, filled with moments to remember and to try not to forget (this blog will certainly help to keep those memories alive). Besides the touristic thingies, I had also a personal goal of what to do in Edinburgh, and that was to meet an old friend I met in Greece. One of those friends who visit us countless times, in Portugal, in Ireland, and that we are really pleased to see them again. This time was my time to pay him a visit, it was a very pleasurable “had to“! We didn’t have much time to spend together though, one coffee the day after I arrived, and another one before my departure back to Cork. Regarding the city, after breakfast we walked to the castle, where we ended up not getting in because we already had a tour booked and we assumed we would get inside the castle anyway. We wandered a bit through the historical center while we were waiting for out tour, so that we could also have an idea of what to expect. We were fed by real tales of stories that happen in the city, each stop a new story. One of those stories tells the last public execution in Edinburgh city, in 1864, of George Bryce. Our guide has the eloquence gift, sharing with us such an horrific story really made us tremble a bit, it is hard for me to image how killing someone was considered a kind of street performance, and this one went too far. By evilness or incompetence of the executioner, George instead of dying the moment the floor opens, he was suffering for over 40 minutes, because the length of the rope was badly calculated. Even the sadistic population thought that was too much. Greyfriars Bobby, another legend-dog though not as known as Hachiko, is another great example of loyalty and how dogs are indeed a man’s best friend. According to the tales, Bobby spent about 14 years, until his death, always laying on the top of his owner’s tomb. Bobby died with 16 years, which means that a 2 years dog got so attached to his owner that he spent almost all his life on the top of a tomb…, if this is not loyalty… It is another story of death and graveyards in Edinburgh, but this one filled with love. Some years ago I was by Hachiko’s statue, and this time I saw Bobby’s, a story that at that point was totally unknown to me. It is great to know that animals also have these kind of homages. Regarding the free tours, there are two things you should know, first they are not entirely free, these people spend their time to prepare these stories, and they spend even more time to share them with us. They need to have really good people-skills, they need to know how to deal with different kind of people and to keep their customers always happy. In the end of the tour, we give them some symbolic amount of money for the work they did, and it is up to each one of us how much to give. Of course some people don’t give anything…, but well… Regarding this tour, I loved his sense of humor which reminded me a lot the Irish personality and the way they make fun of the English, the Scottish also have history with them, and they don’t lack jokes towards that. It was a really pleasant and interesting tour, filled with culture and humor.